Everything is white and sterile and constantly lit as if those who built it desperately wished to keep the darkness away. Man has an inherent fear of the dark and Luna Station took great pains to push away that fear. In part I’m happy for this. I’ve read of the madness of the men and women on those first deep space expeditions. [DELETED] described the slow fall to insanity, the distrust of their companions and the inhumanity that followed. Psychologists blamed it on the eternal darkness. The scientists tell me the Icarus is built to combat this. If it is, I hope it at least has a night cycle. I think eternal light would drive me just as insane. Lord knows I’m a walking zombie without sleep as it is. It’s 0400 and I spent the last hour pacing the room. Anxiety and a growing apprehension grips me in these early hours. 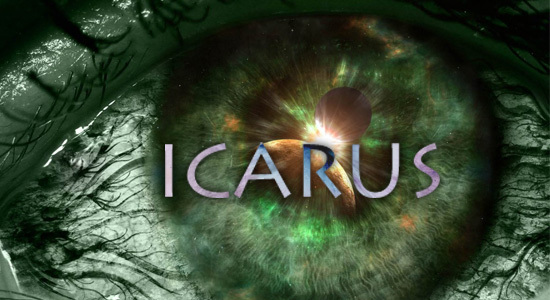 Today we’ll be boarding the Icarus and sealed inside. Why does that feel so final to me? This isn’t a death sentence. It isn’t even that dangerous by our current definition of space travel. The Time-Vortex Tunnels have been studied for years. Those aren’t my only issues. The lack of sleep isn’t helping rid my thoughts of her either. I came here because of her, I know that now. I see her in every piece of clothing I’ve re-folded and re-packed. I sat down to write a few pages of the novel and every time I described the love interest, she looked like her. It’s bad. I need a drink and there’s only tea or coffee or water available. By tomorrow I’ll be gone and everything will be better. Earth will begin to fade like a bad memory and I’ll be able to say goodbye to it all for a good decade. For the first time, I’m looking forward to this. This entry was posted in Icarus, Original Fiction, Science Fiction and tagged Alpha Centauri, blog fiction, Can, Earth, Icarus, Luna, Luna Station, Michael Lee, NASA, Science Fiction, SciFi, space, Time-Vortex, William Shriver. Bookmark the permalink.